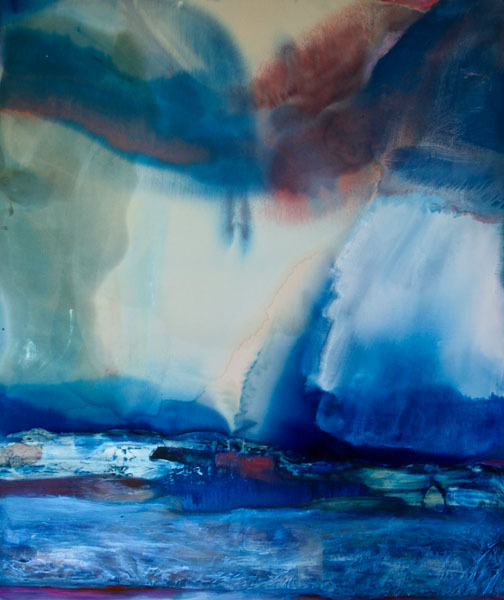 Looking to dive into dreamy palettes and continuous deep thought? Look no further. Sound waves, water and light are all essences that reverberate through time in James’ latest body of work. The pieces pertain to a drifting history that merges with the otherworldly, where we float in between catharsis and danger, between peace and abandonment, and between fear and diving in. 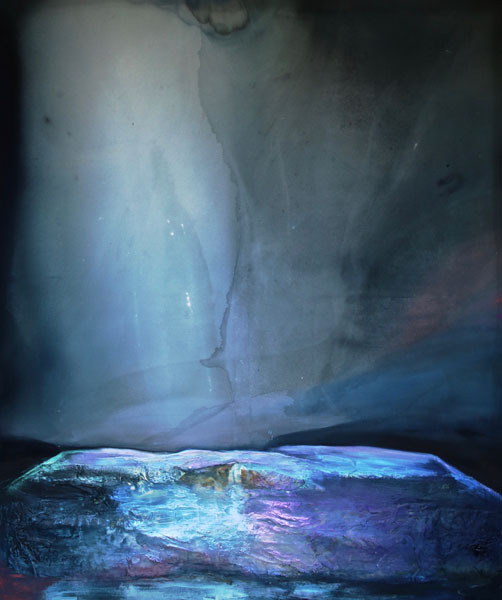 James works employs the process of pouring for its accidents and its autonomy, in order to depict the purity of water quite literally, by using it as her primary medium, in combination with glowing iridescents, wax surfaces, dyes and pigments. Dana James is a painter currently working in Bushwick, Brooklyn. 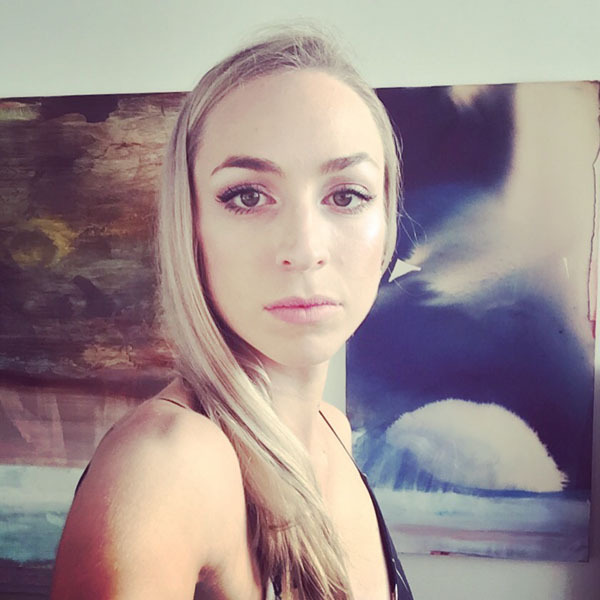 A New York City native from Tribeca, she is born under a long line of artists and has been creating from a very young age. James has already earned her place as a prominent figure among Bushwick’s latest wave of up-and-coming artists. She debuted her work after graduating SVA in 2008, quickly carving out a niche for herself within the bustling local art scene. She was the founder and spearhead of Elgin Gallery and has served as Associate Director at Bushwick’s Life on Mars Gallery. But today James’ career is making art, and her list of achievements continues to grow. 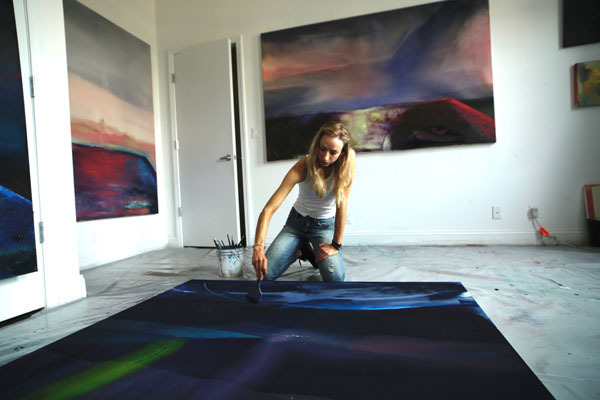 Exhibiting her own work full time, she has exhibited in extensive exhibitions both in and out of New York. 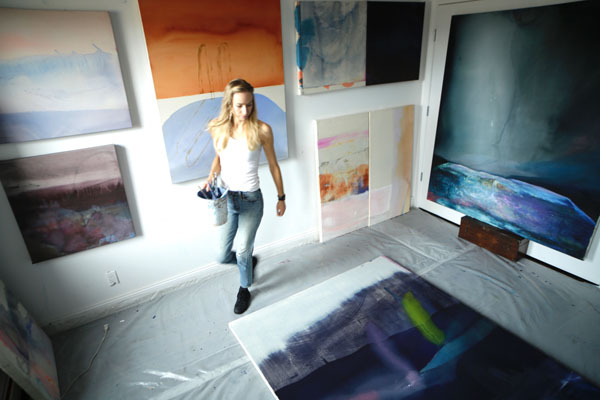 She recently closed a solo show titled “Sometimes Seen Dreams” at the Lodge Gallery in the Lower East Side, NY, and is preparing for her next solo show at David & Schweitzer Contemporary in Bushwick, Brooklyn next fall. This spring, you can find her works in Cape Town, South Africa on view at Silence is Accurate Gallery, a new space dedicated to merging local artists with New York based artists. Lastly, her paintings will be featured in the upcoming feature film EGG.